Head for the Hills is pleased to announce the upcoming release of their third studio album, Blue Ruin, on July 9, 2013. They are in the midst of their Spring Tour in which they opened for both Yonder Mountain String Band and Leftover Salmon. They’ll perform two nights at The Bluebird Theater this weekend in Denver then travel up the west coast. 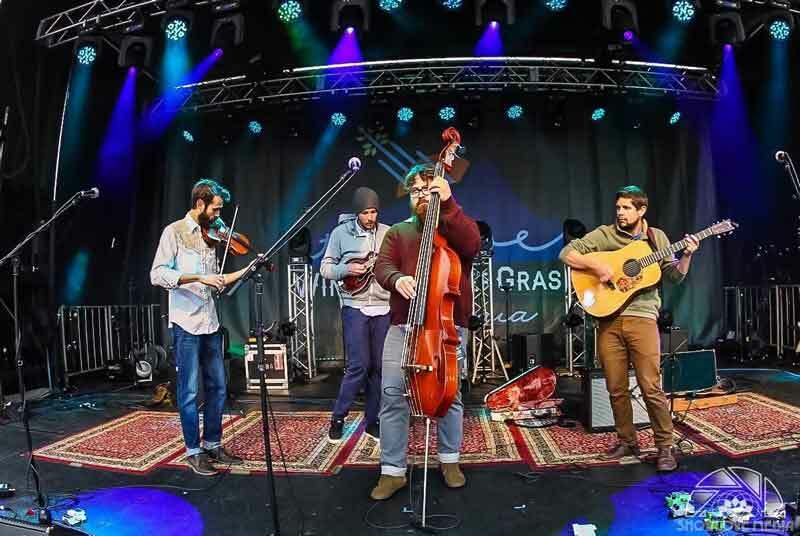 This summer brings them to a variety of festivals including RockyGrass, Northwest String Summit, 4 Peaks Music Festival, Salmonstock, and the return of their music festival, Pickin’ on the Poudre at the historic Mishawaka Amphitheatre, where they’ll be performing music from the new release… think Meta-fictional sea shanties, pop-infused newgrass murder ballads and urbane lyricism, twang and punch. On Blue Ruin, Head for the Hills fuses bluegrass, jazz, hip-hop and indie rock into songs inspired by love and misery and comic books. It was recorded and mixed in Fort Collins, Colorado at Swingfingers Studios with ace engineer and banjoist Aaron Youngberg (Hit and Run, Martha Scanlan, Cahalen Morrison and Eli West). Blue Ruin features guest musicians: resophonic guitarist Andy Hall (The Infamous Stringdusters), cellist Kathleen Starr, electric pianist James Thomas, trumpeter Gabe Mervine (The Motet), vocalist Erin Youngberg (Uncle Earl), and Youngberg on banjo and pedal steel. Head For The Hills isAdam Kinghorn on guitar, Michael Chappell on mandolin, Joe Lessard on fiddle, and Matt Loewen bass. Renowned screen print artist Timothy Doyle (NASA, Lucas Films, Muse, The Black Keys, The Campaign to Re-Elect Barack Obama) created the stunning cover art, which brings to life themes and characters from within the record. Grammy Award-winning mastering engineer David Glasser rounds out the production team. Stay tuned for more about the new release on the band’s website and social networks.